We absolutely love the artwork at the Animal Kingdom Lodge. 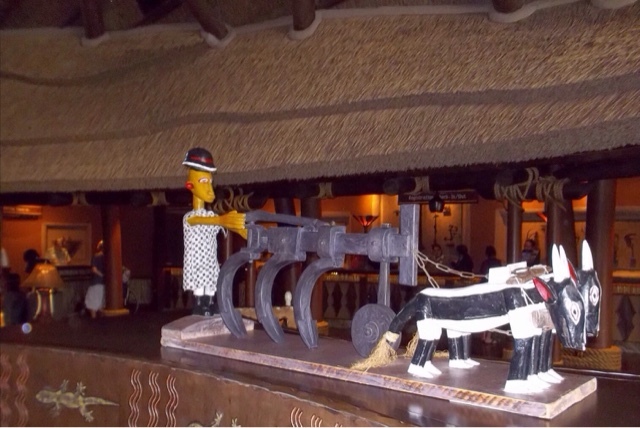 This fun piece graces the lobby of Kidani Village. This farmer plowing his field blends in nicely with the farming tools found just behind the front desk.